The Action Research Programme (ARP) unit is located at Tiruvarur (60 km from IMTI, Thuvakkudy, Trichy) to cater the training needs of the Cauvery Delta farmers. To closely study a sample site in a live irrigation system. To identify, prioritise constraints faced by farmers and formulate corrective action. 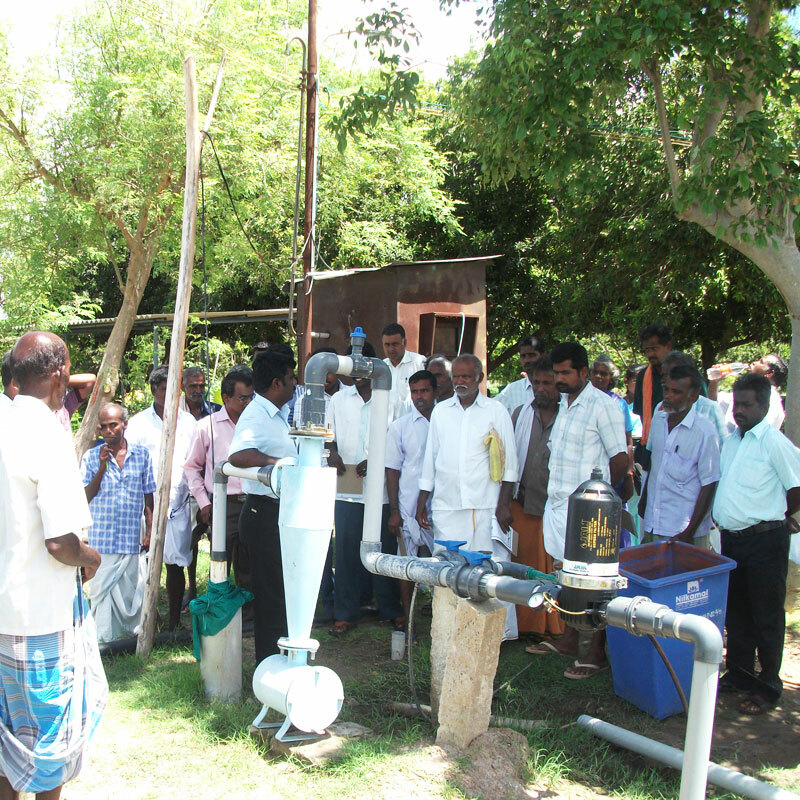 Formation of Water Users' Association (WUA) by motivating and educating the farmers on appropriate water use techniques and Participatory Irrigation Management. Financial support through matching grant (Rs.100/acre)from IMTI is provided to WUAs.